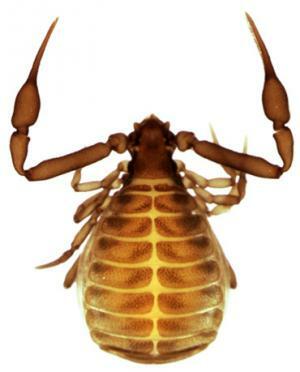 Pseudoscorpions of the World has been developed to provide some basic information on the world of pseudoscorpions and, in particular, provide information about the various pseudoscorpion families, valid names of genera and species, and a comprehensive list of the scientific literature that deal with pseudoscorpions. On this page a comprehensive list of pseudoscorpions families have been listed in alphabetical order. To start exploring that order, please click on the title to see the full list of related genera and species. Conversely, start using the search and taxon browser functions to find out information about specific taxa, or browse through the full classification page (please note this is very large and may take some time to load). This website contains published data up to the end of 2010. The Dracochelidae was proposed for Dracochela deprehendor. The Parahyidae was described by Harvey (1992) who suggested it was related to the Neobisiidae and Syarinidae.